Ahmed Buhari, 2019 Presidential Hopeful. Following the recent release of the 2019 election timetable by INEC, the Reformed Youth Movement Of Nigeria (REYOM) is spearheading the process of repositioning Nigeria for growth and development through increased quality political youth leadership. 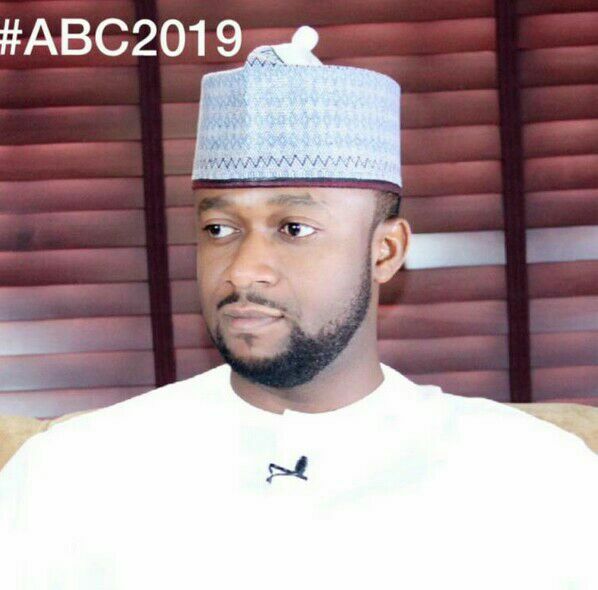 At its recent national virtual meeting held over the weekend, members of the Movement had the opportunity of interacting with Ahmed Buhari, a 2019 Presidential hopeful. In attendance were the Convener of REYOM, Ejikeme P. Nwosu, the 2019 young presidential hopeful, Ahmed Buhari, National Secretary of REYOM, Abdulwasiu Abubakar, other executives, State Coordinators of REYOM, some members and members of the Press. Reformed Youth Movement of Nigeria (REYOM) is a Group of Nigerian Youths interested in the unity of the Country, empowerment of Youths and encouragement of her members to participate in governance. It is the dream of the Movement that a Youth can emerge as Nigeria’s President in the nearest future. REYOM: Please, tell us about yourself. Ahmed Buhari: I am Ahmed Buhari, I like to regard myself as a true Nigerian. With family and friends from all over the country, I don’t conform to the idea of State of Origin. I was born and raised in Kontagora, Niger state of Nigeria. I am the first child and son of my parents. My father, Alhaji Buhari; a man of prestige and importance who was born and raised in the southern part of Nigeria, joined the Nigerian Army in the 1960’s and retired in the late 70’s , after which he ventured into entrepreneurship. My mother, Hajiya Hauwa was a stay home selfless woman who was vested with the responsibility of raising six (6) of us after the demise of my father in 1993. My growing up was not different from every other child that grows in the countryside; active participation in street soccer, riding that one BMX bicycle and tailing my mother to the market. At elementary level, I attended Mustapha Comprehensive School, Kontagora where I was noted for academic excellence and placed with the responsibility of serving as the class Captain from throughout my spell in the school. I obtained my West Africa Secondary School Certificate (WASSC) from Command Secondary School Kaduna. I was also made the senior prefect. I was able to acquire the much needed military experience and attribute; persistence, efficacy, integrity, commitment, franticness and straightforward stance during my days at the Command Secondary School Kaduna. Leadership has always been my greatest strength and a mantle placed in my able and willing hands; a duty I have always carried out with diligence, humility, enthusiasm and tenacity. Upon the demise of my father in 1993, I assumed the responsibility as the father to my younger ones and a companion to my mother at a young age of fifteen (15). I struggled tooth and nail to acquire a B.Sc. degree in Geology from the Federal University of Technology Minna, Niger state in 2005. After the necessary National Youth Service Corps (NYSC), I gained employment with an indigenous oil and gas company in Lagos state. In 2007 during my study leave, I proceeded to Cavendish College, London and bagged Master’s Degree in International Trade and Marketing and then to Manchester Metropolitan University and got trained as a Geographic Information System and Spatial analyst. Upon my return to Nigeria, I continued working as a Geologist on offshore installations with a team that effectively and efficiently produced a sizeable number of barrels of crude oil for the country’s economic growth. In 2011, I joined a telecommunication company and was appointed a Senior Business Development Manager. In 2012, curiosity drove me to venture into what a long line of my family members have always been into; Entrepreneurship, although in a more trendy approach. I started off Skylar, Inc. a company focused solely on Information Technology (IT), Networking, Corporate branding, and Business consulting with staff strength of over fifty (50). Skylar, Inc. a nurtured dream has continually gained grounds in trying to ensure the next generation embraces IT, as it is evidently the next frontier for not just national development but global advancement towards innovation and wellbeing. Ahmed Bee is what I am fondly called by friends. The Ahmed Bee Foundation has been responsible for some social activities to support educational development in Nigeria. The “Kids Can Code” initiative which targets young children in primary schools between the ages of 5 and 12 ensuring that they are fully exposed to computer programming, software development, graphic designing and hardware assembling. The foundation also organizes frequent Hackathons that targets students mostly from tertiary institutions and get them involved in the thinking process of how to proffer better solutions on specific areas of the economy using technology. The Meet the Boss project also lies under the foundation’s portfolio with the sole aim of engaging young and aspiring entrepreneurs and giving them the necessary exposure and training to reach their goals. For me, growing up as a child was calm, peaceful, with sufficiency in resources but in the present day, the story has changed for the negative and has since gotten the economy dwindling aggressively. My political incessancy sprung up with the rise and consistently unrepentant bad economy, and has since been up bound. My love for justice and peaceful coexistence is my greatest driving force. I am married to Maryam and blessed with three (3) children. I drive myself to work, drop off and pick up my kids from school. I do laundry, go to the market, render kitchen assistance to my wife, queue in a filling station like everyone would, taking the turn to the hospital down the street when sick and feels the pain and struggle we all face. My hope is a future where there is a reasonable striking balance between the rich and not so rich, where Nigeria’s greatest problems; tribalism and religion chauvinism is wiped out or reduced to the barest minimal ever recorded in the history of Nigeria, where illegal immigrants that have hindered accurate census and even distribution of resources is not in sight, where there is a peaceful coexistence and the stereotypical belief of difference amongst the geopolitical zone doesn’t exist, where people’s voices are heard, where youths are indeed leaders of tomorrow and are treated as such and where everyone would rather invest in Nigeria than take the growth and development opportunities abroad. REYOM: Why do you want to be the President of Federal Republic of Nigeria? Ahmed Buhari: First, more than anything else I want the youth to realize that it is time to become responsible and start participating in leadership and decisions that will shape our lives not the lives of those who are already in their 70s. Secondly, I may not have been interested in this if there were more young people in the contest. But it seems that isn’t happening. So I am putting myself in the Centre of it all. As much as I know I can’t do it alone, I am excited that more of us are embracing the possibilities. Thirdly, the time is now. Fourthly, Nigeria need a unifier right now. Someone who will see beyond ethnicity, religious bias or any social affiliations and just work for the betterment of all of us. REYOM: How old are you? REYOM: Should you get elected, what are your plans for Nigerian Youths and in what ways can they help you realize this big dream? Ahmed Buhari: All I hope for the youth in Nigeria more than anything else is job security. Housing and better education. We all need coalition right now. Our biggest strength is our number. We do not have millions to contest with the older politicians. We must ensure that we sensitize ourselves and help us realize that life can be better than what it is right now. Most of us accept the status quo simple because we do not know better. No more! REYOM: If you’re faced with Nigeria challenges of recession, how can you address the situation? Ahmed Buhari: With regards to the recession, we just need to lower our expectations from hydrocarbon. There are so many alternative forms of energy from around the world. Our government is still dragging its feet. What needs to be done must be done and that is to totally embrace agriculture , manufacturing and innovation. We must invest in ourselves if we ever want progress. Why do we care how the naira is fairing against the dollar? The most important thing is for hunger to be out of our land. We should be talking about investing in greenhouses in the north and not hydrocarbon exploration. REYOM: How do you plan to reduce the high rate of tribalism which is common among Nigerians today? Ahmed Buhari: Tribalism, Religious intolerance and the likes are mostly borne out of our inability to communicate and interact. Once the people have or believe there’s nothing for them to fear, they will naturally embrace you. Religious leader on all sides of the divide must adhere to strict respect for words they utter to their congregations. Most of which are either conspiracy theories or falsehood. Punishment must be placed on anyone who directly or indirectly incite violence. Once the people are not hungry, they will not have a reason to be angry. REYOM: What would be your top priority as a President? Ahmed Buhari: My priority still remains UNITY. All unity begets progress. I just want us to all see beyond all those little things we have made big things and come together as a people as we march on. REYOM: How do you plan to reduce the unemployment rate and youth restiveness in the Country? Ahmed Buhari: Nigeria is still taking baby steps. A lot of us are still not fully equipped to manage to managerial responsibilities talk more of entry level in many organizations. I still maintain that part of what we should focus on is infrastructure. We must build Nigeria with Nigerian hands. We can consult whoever from around the world. But 90% of hands for projects must be Nigerian. With regards to administrative responsibilities our best brains must be brought in. And for those of us that want to easy way out, I am sorry that will not be entertained. REYOM: It seems our Constitution does not work, do you have any intentions of reviewing it? Ahmed Buhari: The constitution is not the problem. Most policies are good. They just need to be implemented. Although I will support regional restructuring and review of the constitution. REYOM: What are your plans for the Nigerian children? Ahmed Buhari: Parents must be responsible. Once the government provides for you all your basics, it will directly reflect in your children and wards. So I support the restriction on men who can barely feed marrying women and making children they may never feed. REYOM: Which political party do you intend to run under their platform? Ahmed Buhari: We haven’t decided on any political party yet, although we have been approached by some parties. REYOM: Power has been one of our major challenges, how do you intend to fix Nigeria’s power problems? Ahmed Buhari: Leave the dams and gas. We have other options. We have turbines, we have renewable energy, we have solar energy etc. Government has no business in power generation or distribution. Just leave the damn thing to credible investor and ensure they strictly adhere to guidelines. REYOM: Have you ever benefited from political parties or are you a card carrying member of any political parry? Ahmed Buhari: NO and NO. REYOM: Women have been neglected by some previous administrations, how do you plan to carry them fairly along in your government should you be at helm of affairs? Ahmed Buhari: Women have to also wake up just the same way I expect the youth to wake up. Nobody will go searching for a woman or women to come take political positions. Women must realize that they have to be seen, heard and be spot on with their actions. Overall, I believe in gender equality. And for the girl child, her plight is very dear to my heart. REYOM: How do you intend to utilize the social media in your administration and what are the impacts you feel the social media can perform in your administration? Ahmed Buhari: I know the power of social media I do not only respect it, I fear it. We must therefore ensure that we are true in our words and actions. REYOM: Any programmes to take care of the aged? Ahmed Buhari: For the aged, housing must be paramount in our infrastructure drive. All retirees must have a home and pensions guaranteed. REYOM: Is there any way you can add any other name to your surname, BUHARI? It appears many Nigerians are not pleased with our President at present, considering the level of hardship in the country, so similar name may be difficult for acceptance in 2019. Ahmed Buhari: The last thing a man should do is to denounce his father. I do not share ties with Mr. President neither am I in any form of association with him except that he is my president at the moment. Many people may not like the man as many others are in love with him. We still cannot call him a thief or a murderer. It is better we take the pinch from the so-called bad name today than take a punch from hiding it later in future. Thanks for your advice all the same. REYOM: What are the mechanisms you can employ to checkmate balance in your administration if elected and fight corruption in the system? Ahmed Buhari: Corruption is not only in the executive, legislature or judiciary. It is even more alarming in the civil service. Let us stop dabbling all over the place. The only thing that will help our system function better and help reduce incompetence, negligence and corruption is a well designed technologically driven software structure that will be inserted in our activities especially governmental and we’d notice a transformation.